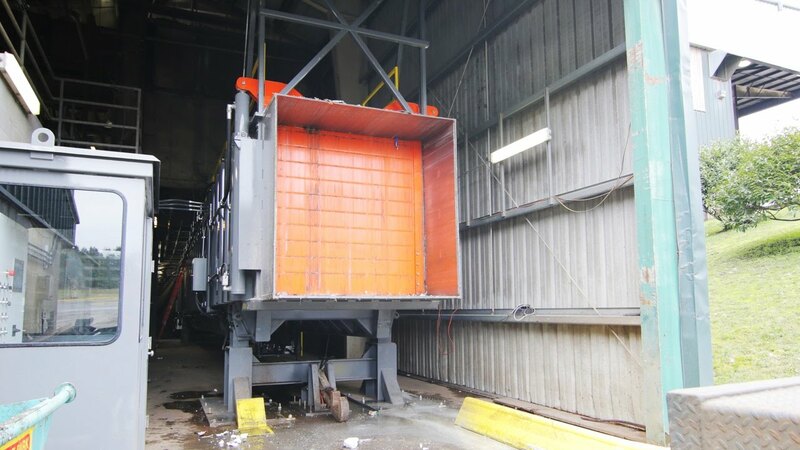 SSI's Pre-Load 4500 Series stationary compactors feature three single stage cylinders designed to form one high density square ended bale for transfering municipal solid waste, recyclables, or other commodities into highway and intermodal trailers or containers. This increases throughput for the same horsepower of other compaction systems. Cycles Per Bale 15 min. 18 min.